During the 1950s, Margaret St Clair published almost eighty stories, all in major sf magazine titles. Some might know her 1963 novel, Sign of the Labrys, although it has never been reprinted. 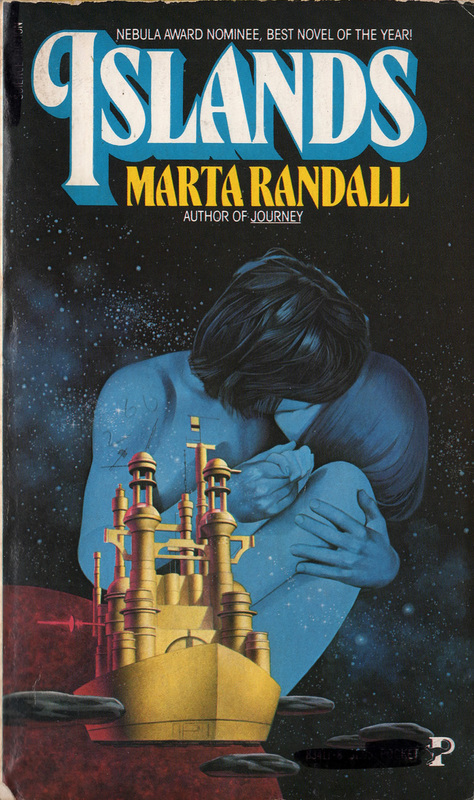 Marta Randall’s debut novel, Islands, was shortlisted for the 1977 Nebula Award, and she was the first female president of the SFWA. Islands has not been reprinted since 1980. Doris Piserchia published thirteen novels between 1973 and 1983. She has not had a book in print since 1987. Phyllis Gotlieb was shortlisted for a Nebula in 1973, and won two Aurora Awards, including one for lifetime achievement. She published ten novels between 1964 and 2007, few of which were ever reprinted and none are currently in print. Jo Clayton was hugely prolific: beginning in 1977, she wrote thirty-four novels in twenty years. All of her books are now out of print. The list of forgotten women sf writers is embarrassingly long. While it’s true there are male writers of science fiction who have also been forgotten, there are also many who are remembered as “great” or “classic” authors, or even as “grand masters”. The list of women remembered in this way is far smaller. Ask someone to name five sf writers of the 1950s, or the 1960s, and chances are the names they will give are all male. It’s almost as if women’s contribution to science fiction has been written out of the genre’s history. And, in a way, it has. If you search online for a list of “best” or “classic” science fiction novels or short stories, any list you might find will be predominantly male – if not entirely male. 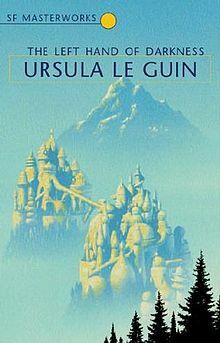 Only this month, redditors voted on “the 25 Best Sci-Fi Books of All Time”, and there was only one book by a woman on the list – The Left Hand of Darkness by Ursula K Le Guin.The original SF Masterworks series published by Millennium contained only four books by women out of seventy-three titles (and two of those were by Le Guin). 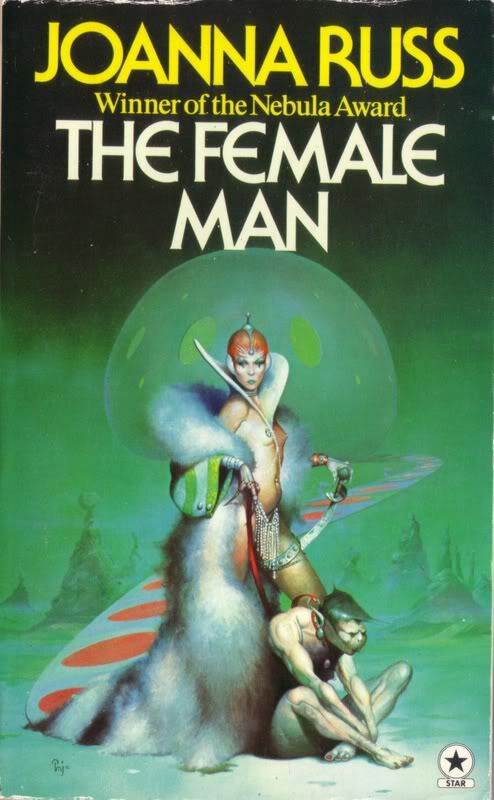 In 2010, Joanna Russ’s classic The Female Man was the first book by a woman published in the relaunched series, but the twentieth title. There is a pernicious myth that “women don’t write science fiction”. This is patently untrue. St Clair’s eighty stories in ten years, Clayton’s thirty-four novels in twenty years… and they’re neither exceptional nor isolated examples. Clearly women write science fiction and have done so for decades. The ten female winners of the Arthur C Clarke Award since 1987 show that women have been writing highly-regarded science fiction. Historically, sf written by women may not have appeared on award ballots – the first woman to be shortlisted for the Hugo Award for Best Novel was Marion Zimmer Bradley in 1963, the first woman to win was Le Guin in 1970; and only one woman had been shortlisted in the years in between, Andre Norton in 1964 – but in the last thirty years they have been much more common. In fact, since 1980 thirteen books by women have won the Hugo. 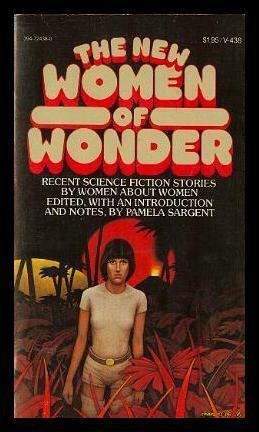 According to Pamela Sargent in the introduction to The New Women of Wonder, a 1978 women-only sf anthology, in science fiction’s earliest days women formed between ten and twenty percent of sf readers and writers. The introduction of the massmarket paperback in the late 1950s, especially in supermarkets, saw a huge increase in the number of female readers of sf, and correspondingly of women writers. It’s now generally accepted that roughly half the science fiction readership are female. So thirty-three percent of the winners for the Hugo Award and forty percent for the Clarke Award are hardly proportional. 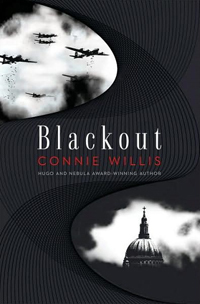 It’s even worse when you consider that those thirteen Hugo wins were by only seven women – with Lois McMaster Bujold winning four Hugos and Connie Willis three. There is nothing about science fiction in and of itself which should make it skew to one gender more than the other. Back in the 1930s, when Hugo Gernsback lost control of Amazing Stories, and Street & Smith started up the rival Astounding Science Fiction, sf was repositioned as pulp fiction, aimed squarely at a young male readership. A decade later, a handful of women sf writers were being published – CL Moore, Leigh Brackett, Andre Norton, for example – but it was not until the 1960s that real parity between the genders was reached. However, science fiction is still often perceived as a predominantly male genre. This is simply not true. One reason for the pervasiveness of this mistaken belief is that something seems to have wiped the contribution of women from the history of the genre. Only a few survived this purge – Ursula K Le Guin is perhaps the premier example. Some have ascribed this to cyberpunk, which saw itself as an antidote to the tired can-do science fiction of the 1970s – the tired can-do sf written by men of the 1970s. And yet cyberpunk owed as much to the works of Joanna Russ and Connie Willis – Samuel R Delany has called them “the mothers of cyberpunk” – but they were never acknowledged as such. Cyberpunk’s inspirations were all male. We’re still suffering from the after-effects of this rewriting of science fiction’s history. Back in 2010, when the current conversation on women in science fiction began, there was only a small handful of women sf writers with contracts in the UK. 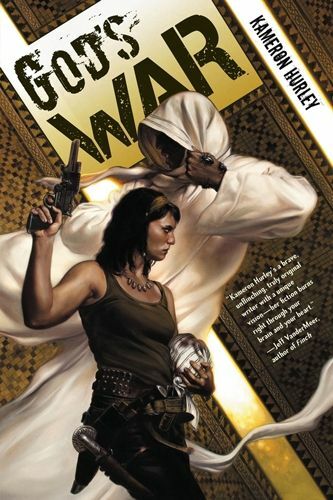 Since then, things have improved and a number of female debut sf authors have seen print in the past couple of years, such as Kameron Hurley, EJ Swift, Stephanie Saulter, and Naomi Foyle, among others. 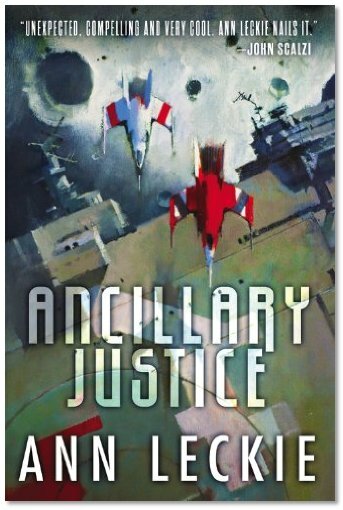 At present, Ann Leckie’s debut, Ancillary Justice, is receiving a lot of very positive buzz and seems likely to appear on a couple of award shortlists next year. Admittedly, some of those debuts authors are US (Hurley and Leckie), or their novels first saw print in the US (Swift), but the fact the books have been published in the UK is a definite improvement on before. However, publishers are constrained by commercial realities. They cannot publish books that will not sell, they cannot publish manuscripts they are never sent. In June this year, editorial director Julie Crisp of Tor UK revealed that despite their open editorial policy only thirty-two percent of science fiction submissions were by women. There are a number of reasons why women appear to submit less frequently than men, but that’s a piece for another day. However, it is certainly true that books by women are reviewed less than books by men. In both 2011 and 2012, Strange Horizons analysed book reviews in genre magazines and discovered that while 45.8% of genre books published were by women most venues reviewed significantly less than that percentage of books by women. Ladybusiness did the same for same reviews on blogs and also found sf books by men to be more likely to be reviewed than books by women. Both studies were prompted by VIDA’s investigation of literary venues, where they found that reviews of books by women were in the minority. The conversation is not over, it is only just beginning. Though things have improved over the past few years, there is still a long way to go. New science fiction novels by female writers are being reviewed increasingly often, albeit still not to extent new books by male authors are… but all those female-authored sf novels from the 1950s, 1960s and 1970s still remain unfairly forgotten. Only when it is universally recognised that women have been writing alongside men for more than seventy years, when lists of “classic” or “best” science fiction novels are not wholly or entirely male, when lists such as “100 Great Science Fiction Stories by Women” are no longer necessary… only then can we say science fiction is finally beginning to grow up..
25 Responses to "Women in Science Fiction, a Guest Post from Ian Sales"
It’s true, it’s difficult to think of many female sf writers of the past, the first ones to come to mind for me are Ursula K. Le Guin and Sheri S. Tepper. It always makes me angry to hear science fiction described as a ‘male genre’. In fact just the other day, a friend of mine referred to the recently released Gravity as a ‘man’s film’. No. It’s not. Science fiction is not just for men, there are plenty of female readers and writers of sf and they need more recognition. I’ve recently really enjoyed the work of Jaine Fenn, and I’m hoping to read Ancillary Justice at some point. For me personally, yes. Or Mary Shelley. It’s a shame that illustrious figures such as C. L. Moore, Andre Norton, Leigh Brackett, Kit Reed, Suzette Haden Elgin, Josephine Saxton (who all wrote before or around the time of Le Guin), etc. have fallen that far off the map…. Great post. As a female writer and reader of sci fi, with plenty of friends who write likewise, I’d love to discourage this stigma. Do you know of any sites which focus on promoting female authorship and readership of sci fi? Been googling it for half an hour without luck. Well, did you look at Ian Sales’ site — SF Mistressworks? Each of the reviews is taken from an existing site. So, perhaps you can find some stuff that way. But, due to the lack of reviews submitted these types of resources are at the mercy of other reviewers. Always consider submitting your own reviews if they meet the requirements. I find it an incredible shame that so few people submit to Daughters of Prometheus which has essentially gone defunct — and for a while, SF Mistressworks (Ian apparently has a whole bunch lined up now for that one at least). I’ve never understood myself why readers who claim to love a genre care whether or not a man or woman wrote the story. It would be a shame to have the field limited in any way, and is a shame. I hate to think that there are amazing stories written by women that may not have gotten published either ‘back in the day’ or even now simply because it has predominately been a male-dominated genre. While there is no doubt a loooong way to go, I’m happy that there seems to be a bigger movement towards celebrating genre fiction written by both sexes and not just one.